We at Skye Group Pty Ltd recognise the importance of privacy protection. Our policy for dealing with any personal information that you might disclose to us while visiting this website is explained below. The type of personal information that we collect from you will depend on how you use our website, but you can be certain that the information we receive about you will be treated as strictly confidential. We do not collect or use any personal information on visitors to our website, through the use of "cookies” or their software or hardware techniques. The information we do collect is related to the number of hits our site receives, and the domains from which this site is accessed. This is purely for statistical purposes. This information is used for statistical and web site development purposes only. 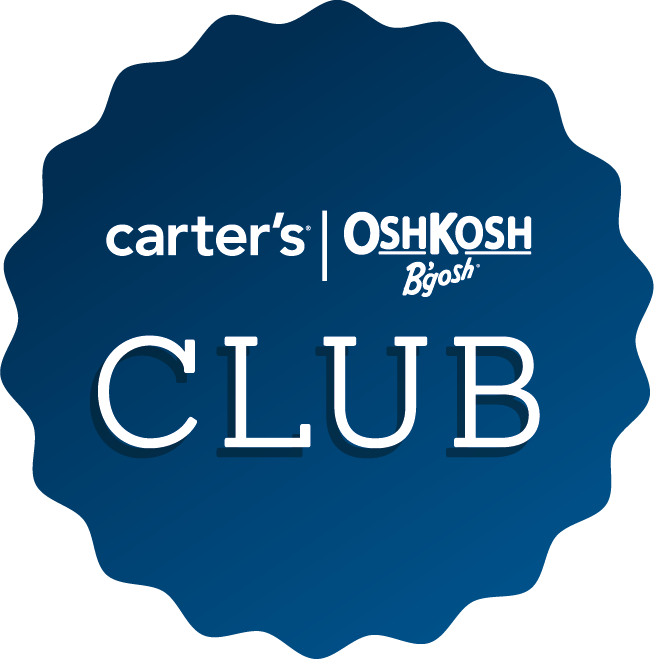 If you have become a Carters/OshKosh Australia member or have logged into our website, we are able to provide information to you about our special offers or notify you of new products as well as give you information, including direct marketing information, about our other Brands*. Also by logging into our website, it makes shopping faster and easier for you and you will also be able to track the status of your order at any time. If at any time you no longer wish to receive emails or communications from us please notify us by email okbweb@skyegroup.com.au and we will remove you from our Members List. It is our policy not to sell or pass on any personal information that you may have provided to us unless we have your express consent to do so. 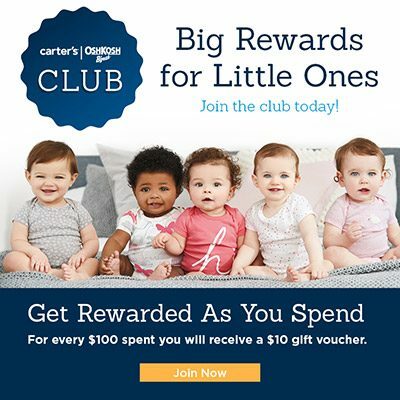 An exception to this is where Skye Group may be required by law to disclose certain information or to administer our Rewards Program if you have subscribed to it. Providing a secure shopping experience to our customers is an important commitment for OshKosh Australia. Your credit card information is not stored on our website, we use a secure payment gateway and use an advanced encryption technology and independent verification to ensure that your general information is kept safe and secure a well. OshKosh Australia uses a RAPID SSL Certificate to offer secure communications by encrypting all sensitive data to and from our Website. thawte has checked and verified our registration documents and the site's registered domain name. We will preserve the contents of any email message that you send to us if we believe that we have a legal requirement to do so. If you wish to discuss any aspect of this policy, please contact us via email okbweb@skyegroup.com.au or phone OshKosh Australia Customer Service on 02 9502 6200. You may also contact The Privacy Officer, Skye Group Pty Ltd.
No responsibility for loss occasioned to any persons acting on or refraining from action as a result of any material in this publication can be accepted. *Sunseeker Swimwear®, Carter's®, The Fresh Brand®, Finz Swimwear®, Columbia®, Mountain Hardware®, Ecolite®. All Registered Trademarks.